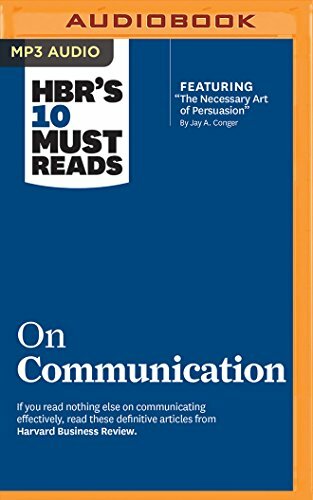 Amazon.com description: Product Description: New from the bestselling HBRâs 10 Must Reads series. The best leaders know how to communicate clearly and persuasively. How do you stack up? If you read nothing else on communicating effectively, read these 10 articles. Weâve combed through hundreds of articles in the Harvard Business Review archive and selected the most important ones to help you express your ideas with clarity and impactâno matter what the situation. About: New from the bestselling HBR’s 10 Must Reads series.